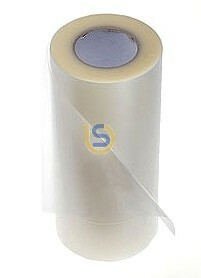 This is a Mid-Tack transfer tape for heat transfer printing. Ideally for printable heat transfer vinyl. You can also use for other heat transfer media. We have two types of tapes. This one has no backing which is good for large job. There is also another one in our store with mesh backing, which is suitable for smalll job. This is a Mid-Tack transfer tape for heat transfer printing. Ideally for printable heat transfer vinyl. You can also use for other heat transfer media. We have two types of tapes. This one has mesh backing film so you can cut down to the size you want before using it which is good for small jobs. There is also another one in our store without backing, which is suitable for large jobs.